Indiana sports fans got some good news recently. Those who are Hoosiers fans can now legally place bets when their team is playing. Fans of the Pacers or Colts can also lawfully wager on whether on sporting events. 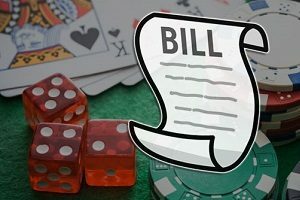 There is now an extensive gambling bill in place that was approved 38-11 by the Indiana Senate that changes the way Indiana residents gambling. 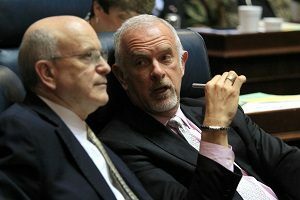 Senator Mark Messmer, R-Jasper, said: “this is a once-in-a-generation opportunity to reset the casino industry in Indiana.” The senator’s statement indicates that it’s been a very long time since Indianans have been able to engage in sports betting. Jasper asserted that the bill would help current gambling operators to be more competitive while increasing revenues for the state. 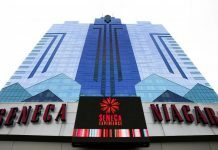 The new law gives operators the chance to make more money within the regulations of existing licenses and caps on gaming positions. Local lawmakers are split on the gambling bill. Senators Travis Holdman and Dennis Kruse, R-Auburn, voted no. However, several senators were in support of the law, including Sue Glick, R-LaGrange, Liz Brown, R-Fort Wayne, Justin Busch, R-Fort Wayne, and Andy Zay, R-Huntington. Regardless of the votes, none of the senators spoke against the bill. The gambling bill, formally titled Senate Bill 552, started with legalizing sports gambling in Indiana. In May 2018, the US Supreme Court made it possible for states to authorize sports betting which has led several states to permit this form of gambling. Indiana legislation now permits state casinos, horse tracks with slot machines and off-track betting parlors to provide sports gambling. When a resident visits one of these locations to sign up in person, he or she can also place bets online. The gambling bill prohibits betting on high school and other amateur youth sports events. However, bettors can place their wagers on college games. The bill permits in-play betting as well, which is putting a bet after a game has started, such as whether a kicker will make the next field goal. Casinos must use official data from the leagues running the events for in-play betting. Facilities that want to provide sports gambling have to pay an initial licensing fee of $100,000. Revenue will be taxed eventually; however, it could not be included in the bill because revenue-raising measures must originate in the House. A study conducted a few months ago suggested a 9.25 percent rate and stated that Indiana would see between $10- and $38 million in taxes a year. However, supporters are pushing for a lower price. Additional highlights in the gambling bill permit live dealers to operate at the state’s two racinos. The law authorizes the movement of one casino license to Terre Haute and allows companies to own more than two casinos and increase the amount of “free play” a casino can provide to gamblers. Senate Bill 552 now goes to the House. House Speaker Brian Bosma recently stated that the bill represents a significant expansion of gaming in Indiana. Bosma asserted that some of his caucus members are opposed to all gambling bills. However, others with gambling already in their communities may vote against the law since the movement of other facilities could hurt existing casinos. For example, a new Terre Haute casino could harm betting in Evansville and French Lick. Bosma also noted that sports betting has not brought about much discussion because “it’s going on in our state every day anyway” due to illegal offshore betting websites. Bosma noted sports wagering has not garnered much discussion because “it’s going on in our state every day anyway” via illegal offshore online sites. 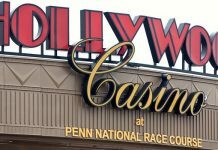 He compared it to when Indiana cracked down on unlawful cherry master games at truck stops and in bars to justify allowing slot machines at the state’s two horse racing tracks. Overall, Bosma stated that he would encourage his caucus to “make the best decision on policy” instead of considering the fiscal impact on state revenue. Next articleGambling in Alaska – Can you?